VGMaps + Gameplay Footage = ??? VGMaps > General Boards > Map Gab > Topic: VGMaps + Gameplay Footage = ??? Re: VGMaps + Gameplay Footage = ??? Those were great. I've never played Zelda II ( ) so I was rather lost as to what was going on, but fun to watch nonetheless. And the Marble Madness one was certainly madness. And now here's Wizards & Warriors: Castle Exterior! Nice job. I like the zoom outs at the end of Gimmick! 's and the Castle Exterior. I always get lost in Kid Icarus, and seeing the sheer number of rooms the player didn't even visit, it's no wonder. I'd be lost for hours there, maybe even days. I always get lost in Kid Icarus, and seeing the sheer number of rooms the player didn't even visit, it's no wonder. I'd be lost for hours there, maybe even days. Best way to not get lost: Make your own map! Great. I'm impressed that from the map you erased the guards after killing them and kept the exit door open after pressing the pressure plate that opens it. I've added a few more since Castlevania II... and also my first 16-bit attempt! 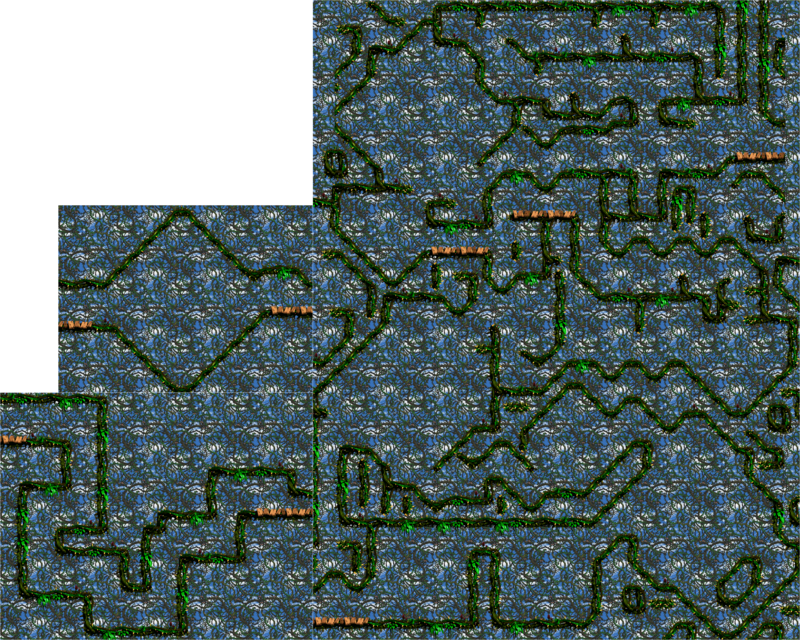 Unfortunately the map I got was from ImageShack, but the person who brought it to my attention says TerraEsperZ made it. Is there a reason why it's not listed on here? I found a topic which appeared to be a work-in-progress but I think the maps were removed from that thread as well. Just wanted to correctly attribute the work! It's not listed because I very rarely submit maps to the site unless I've finished mapping the whole game, which is something that probably won't happen in Sonic CD's case (and many others unfortunately). Glad that it was useful though, and don't hesitate if you need the others I've done of that game. I'm not sure why they vanished from the thread, but that might have been because I didn't have an Imageshack account back then, so they probably got deleted after a while of not being accessed. Nice job. I like the effect of viewing the cutscenes through the grid of borders. How much effort did it take to do the Sonic one like that? I can't imagine editing out the background in every single frame would be any small task. It's definitely impressive. Thanks! Luckily the emulator I used allows different layers to be turned off; therefore I got around the parallax background issue. This technique makes SNES games possible to use as well. My first for that console will most likely be DKC2... more specifically this map. Check out Blaster Master: Area 3! Here's Batman and Ecco the Dolphin!